WILLIAMSTON – Willis Connie Stroud, 75, husband of Jean Knight Stroud, passed away Thursday, February 4, 2016 at his home. Born in Fair Play, he was a son of the late John Crawford and Lillie Mae Mosely Stroud. He was formerly employed with Mt. Vernon and attended Restoration Chapel. Survivors in addition to his wife of the home are sons, Rick Stroud of Greenville, Chad Stroud (Renea) of Williamston; granddaughter, Jessica Neely (Mitch); daughter in love, Sandee Cribbs of Tigerville; sisters, JoAnne Donald, Mary Hannah, Betty Brooks, Fannie Whitcher all of Iva, LaVone Campbell of Williamston; brother, Virgil Stroud of Belton; other grandchildren, Jamie, Tricia, Devin, Erin and Elizabeth; great-grandchildren, Coby, Connor, Mattie Jean and Chandler. He was predeceased by a brother, Crawford Stroud. Visitation was held from 5-7 p.m. Saturday, February 6, at Gray Mortuary, Pelzer. The service was held on Sunday at 2 p.m.at Restoration Chapel. Burial followed at Forest Lawn Memorial Park, Anderson. ANDERSON, SC – Dorothy Jean Turner, age 83, born in Williamston, SC, on September 3, 1932, passed away on February 1, 2016. She is survived by three children, a sister, seven grandchildren, and nine great-grandchildren. She was preceded in death by her parents, loving husband, and a sister. A service will be held privately with the family. In lieu of flowers, memorials may be made to Disabled American Veterans, PO Box 14301, Cincinnati, OH 45250-0301 or to Anderson Area YMCA, ATTN: CHILDREN’S PROGRAM, 201 E. Reed Road, Anderson, SC 29621. Brian Scott Fraley, 54, of Williamston, husband of Toni Davis Fraley, died Monday, February 1, 2016 at Greenville Memorial Medical Center. Funeral services were held Saturday, February 6 in the Chapel of Robinson Funeral Home – Powdersville Road, Easley. Interment followed at Robinson Memorial Gardens. The Unity Mortuary of Williamston announces services for Savon Allen were held Saturday, Feb. 6 at Roosevelt Thompson Memorial Chapel, Williamston. Maxie Berry Alewine, 67, of Belton, husband of Alice Diane Alewine, died Friday, February 5, 2016. Born in Belton, he was a son of the late Edward and Dora Kelly Alewine. He was retired as the owner of Maxie’s Body Shop. In addition to his wife, surviving are children, Shane Alewine, Gene Alewine, Juanita King, Tyler Alewine, all of Williamston, Nikki Alewine of Pelzer; sisters, Edith Baggot of Pelzer, Betty Hoffman of Pelzer; eight grandchildren; eight great-grandchildren. The funeral was held Monday, February 8 at the Living Water Church, Pelzer. Euline Staton Hamilton, 91, of Easley, wife of the late William Craig Hamilton, died Thursday, February 4, 2016 at her home. Born in Clermont, GA, she was a daughter of the late Marlow Staton and Ever Jane Dunagan Wilkie. She was retired from J.P. Stevens, Dunean Plant, and was a member of Tremont Church of God. Surviving are her daughter, Cathy Tzoras of Easley; one granddaughter; three great-grandchildren; a brother, Willard Wilkie of Powdersville; and three sisters, Barbara Wood and Frances Benjamin, both of Greenville, and Christine Boland of Piedmont. A memorial service was held Saturday, Feb. 6 at Tremont Church of God. A private burial was held in Graceland Ceremony. Memorials may be made to the building fund of Tremont Church of God, 2854 New Easley Highway, Greenville, SC 29611. Stephen Loy Wagner died on Feb. 2, 2016 in Greenville after months of enduring the pain and discomfort of prostate cancer. He was born on May 3, 1951, the son of Loy Eugene and June Matteson Wagner. He is a graduate of Palmetto High School in Williamston, S.C. Among other high school musical honors, Steve was selected to participate in the McDonald’s All American Band which performed in the Macy’s Thanksgiving Parade and the Rose Bowl Parade. Steve was a talented musician specializing in bass guitar. Sound production was also an interest of his. Steve was a skilled craftsman in all aspects of building construction and did work in the fields of home improvement and renovation. He is survived by sister, Patrice Wagner Alley (Wade) of Charlotte, N.C.; brothers Richard Carlisle Wagner of Greenville and Christopher Carter Wagner of Williamston; nieces and nephews Elizabeth Alley Conway (Chris) of Charlotte; Jonathan Wade Alley (Jeanne) of Raleigh, N.C.; Julia Catherine Wagner and Coleman Jackson Wagner of Williamston and grand-nephew Carrick Wade Alley. In addition, he leaves a number of cousins with whom he had a close relationship. Also, several special friends provided significant help and care during his illness. A gathering in Steve’s memory will be held at a future date. Dispersal of ashes will be private. Cagle Harry “C.H.” Thompson, Jr., 97, of Pelzer, widower of Martha Ellie Henderson Thompson, diedThursday, February 4, 2016 at Richard M. Campbell V.A. Nursing Home. Born in Pelzer, he was the son of the late Cagle Harrison, Sr. and Ruby LeeAnna Holliday Thompson. He was retired from Duke Energy Lee Steam Plant and was a U.S. Army WWII veteran. Survivors include daughters, Judy Finucan and Sandra Ragsdale, both of Pelzer; son, Wayne Thompson of Ft. Walton Beach, FL; sister, Betty Knight of Williamston; five grandchildren; six great-grandchildren; five great-great grandchildren. Memorials may be made to Patriot Hospice, 54 Bear Drive, Greenville, SC 29605. Rosa Lee Dean Knight, 84, of Belton, died Saturday, February 6, 2016 at the Rainey Hospice House. Born in Belton, she was the daughter of the late Rubin Henry Dean and the late Nora Phillips Dean. Surviving are two sons, Sammy Knight and Ricky Knight, both of Belton; daughter, Wanda Neely of Williamston; three grandchildren; and one great-grandchild. She was predeceased by her husband, Nathaniel Christopiher Knight, Jr. and was the last surviving member of her immediate family. Funeral service was held Feb. 9 in the Chapel of The McDougald Funeral Home. Entombment followed at Forest Lawn Memorial Park Mausoleum. Linda Adair Warlow Sain, 71, of Pelzer, wife of Donald Austin Sain, died February 7, 2015. Born in Florida, she was a daughter of the late William II and Letha Stoner Warlow. She was a retired preschool teacher and a member of Forest Hill Baptist Church in Anderson. In addition to her husband, she is survived by daughters, Dawn Mae Machesney of Hawaii, Patricia Jean Sain-Seldin of Florida; four grandchildren; and one great-grandson. Funeral service was held Tuesday, Feb. 9 at Forest Hill Baptist Church. Burial followed at Silver Creek Baptist Church Cemetery, Mill Spring, NC. Memorials may be made to Forest Hills Baptist Church, 909 Plantation Road, Anderson, SC 29621. Peggy Roberts Durham, 79, of Belton, widow of B.J. Durham, died Saturday, February 6, 2016 at her home. Born in Anderson, she was the daughter of the late Charles Leon and Verna Doyle Roberts. She was a member of Friendship Baptist Church. Surviving are her son, Joe Michael Durham; brother, Russell Roberts of Anderson; and sister, Sandra Kay of Williamston. Funeral services were held Monday at Sullivan-King Mortuary Chapel. Entombment will be private. Memorials may be made to Whitefield Baptist Church, 207 Mitchell Road, Belton, SC 29627. Charles Shirley Dowis, 79, of Piedmont, died Friday, February 5, 2016 at his home. Born in Piedmont, he was the son of J.B. and Ruby Dowis. Surviving are his wife, Irene Lollis Dowis; son, Eddie Dowis; daughters, Kay Townsend, Cathy Smith, and Janet Baldwin; 11 grandchildren; and 27 great-grandchildren. Funeral service was held Monday, February 8 at Beech Springs Church in Pelzer. She was survived by her daughter Angela Rowe and her son Curtis Bowen along with 9 grand children and 15 great grand children. Evelyn did not want a funeral so fellowship was held at Beaverdam Church fellowship hall with her closest friends and family on February 6th at 11 am. The family would like to thank everyone for making her last wish come true. And to our mother who will forever guide us to living life to its fullest with love in our hearts and memories in our minds, we love you mom and until we meet again just know that because of you we will always know it’s a wonderful world! Robert Marion Heaton, 91, of Easley, widower of Clara Marie Schmidt Heaton, died Friday, February 5, 2016. Born in Clutier, IA, he was the son of the late Robert Myron and Mary Machovsky Heaton. He was a U.S. Army veteran of World War II. He was a member of St. Andrews Presbyterian Church. Surviving are daughters, Joan Groome of Easley, Cindy Barrio of Argentina, Carol Allen of Sumter, Gloria Clarke of Isle of Palms; son, Robert A. Heaton of Piedmont; 11 grandchildren; and two great-grandchildren. Funeral service will be held Friday, February 12 at 2 p.m. at St. Andrews Presbyterian Church. Visitation will follow at the church. A private burial will be held at Graceland East Memorial Park. Memorials may be made to Meals on Wheels, 13 Oregon St., Greenville, SC 29605. Jerry Steven “Stevie” Heatherly, 49, of Pelzer, husband of Adrian Denise Hood Heatherly, died Monday, February 8, 2016 at his home. Born in Pelzer, he was the son of Jerry Franklin Heatherly and Martha Ray Robertson Gilstrap. He was formerly employed with Systems South in Fountain Inn and a member of High Praises Church. Survivors include his wife of the home; sons, Brett and T.J. Heatherly of the home; step-mother, Varena Heatherly of Pelzer; step-father, Jim Gilstrap of Easley; step-brother, Tim Garrison of TN. A memorial service will be held on Saturday, February 13, 2016 at 2:00 p.m. at High Praises Church with visitation following. In lieu of flowers, memorials may be made to Pruitt Hospice, 102 E. Curtis St., Simpsonville, SC 29681. 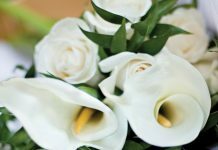 PELZER – Sheila “June” Oakes, 50, wife of Paul A. Oakes of 6635 Hwy. 29 N., died Sunday, January 31, 2016 at AnMed Health Medical Center. Born in Pickens County, she was the daughter of Betty Willis Marsengill and the late William Bettis Marsengill. She worked in manufacturing and attended Central Wesleyan Church in Piedmont. Surviving are: daughter, Miranda (Keith) Bridges (grandchildren: Kei`Leigh and Keisen Bridges) of Pelzer, Christine Oakes (Jerry Lamb) of the home, grandchild Delylah June Lamb; sisters, Vickie (Randy) James of Liberty, Darlene (Greg) Wilson of Belton and Angie (Mike) Hanner of Greenville. Service will be held at 6pm on Friday, February 12th at Life Journey Church in Pelzer. Visitation is from 7pm -8pm at the church and a meal will be provided after service in the fellowship hall.